Are the Conjectures of Dark Energy and Dark Matter Expensive Blunders Following Recent Experiments on Earth? Dr. Ruggero M. Santilli, a former scientist at MIT and Harvard University, now the President of The Institute for Basic Research, recalls that the frequency shift of light due to relative motion has been solely established for light propagating in vacuum, while numerous experiments have established the frequency shifts without relative motion for light propagating within gases. He then announces that these recent experiments have confirmed the rejection by Einstein, Hubble, Fermi and others of the expansion of the universe, by eliminating the related conjectures of dark energy and dark matter (http://www.santilli-foundation.org/docs/No-universe-expans.pdf). Fig 1. The inconsistencies of the expansion of space..
"Albert Einstein, Edwin Hubble, Enrico Fermi and other scientists rejected the conjecture of the expansion of the universe," states Dr. Santilli, "because it implies a return to the Middle Ages with Earth at the center of the universe due to the 'radial' character of the cosmological redshift in all directions from Earth. The far reaching conjecture of the expansion of space itself, which was ventured to avoid Earth at the center of the universe, has been proved to be catastrophically inconsistent due to the 'acceleration' which is inherent in the proportionality of the cosmological redshift on the distance from Earth. 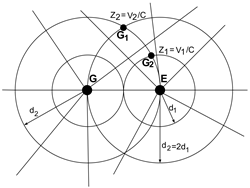 With reference to Figure 1, two galaxies G1 and G2 at double distance from Earth E should have have double speeds, but the same galaxies have the same distance and, therefore, the same speeds from another observed G, thus implying catastrophic inconsistencies that evidently persists under the conjecture of the expansion of space itself. 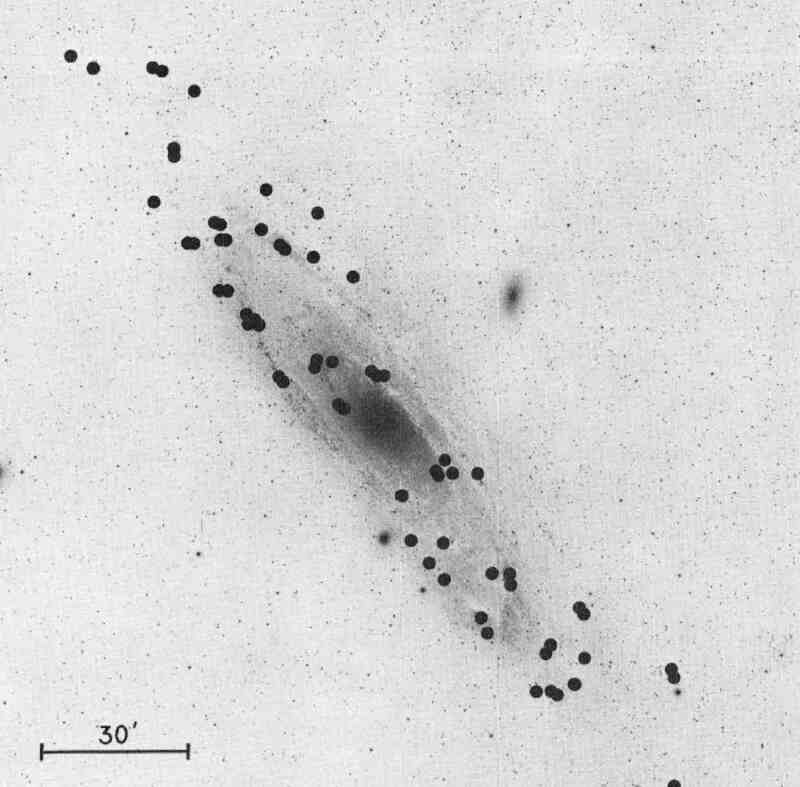 Numerous experiments on Earth have confirmed Zwicky's 1929 representation of the cosmological redshift of galaxies without the expansion of the universe to loss of energy by light to cold intergalactic gases. The elimination of the expansion of the universe eliminates the additional far reaching conjecture that 2/3 of the universe is filled up with the mysterious dark energy, since the latter was proposed to represent the 'expansion' of the universe via gravitational repulsions among galaxies, a proposal also against Einstein's teaching according to which energy caused gravitational attraction, rather than repulsion (http://www.i-b-r.org/Prof-Santilli-Interview.html). "All galaxies are indeed filled up with matter," continues Dr. Santilli, "but of real, concrete, physical gases visible from telescopes (Figure 2) that are rarefied and cold at the periphery while becoming progressively denser and hotter in the vicinity of the galactic center. The experiments mentioned above establish that the redshift of light emitted by individual stars is generally different than the cosmological redshift of the entire galaxy because star light is additionally redshifted for peripheral stars due to loss of energy to the peripheral cold gases, and then progressively blue shifted due o the acquisition of energy from hot gases in the vicinity of the galactic center. Hence measurements on Earth have provided a numerical representation of the anomalous frequency shift of galactic stars (Figure 3) without any need of the hypothetical dark energy that, in any case, does not represent the indicated anomalous redshift of galactic stars and is afflicted by additional inconsistencies" (http://www.thunder-energies.com/docs/dark-matter-2015.pdf).